Samurai is the term for the military nobility of pre-industrial Japan. The two names of the koi progenitors are related to the history of the ancient class as well. 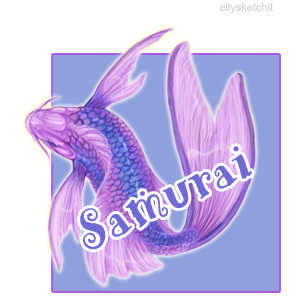 If you'd like to name your Samurai koi after an actual Samurai, check here for a list of names! You don't have to, but it's there if you'd like to peek.